Here’s a trend that pretty much any woman can try. A braid. 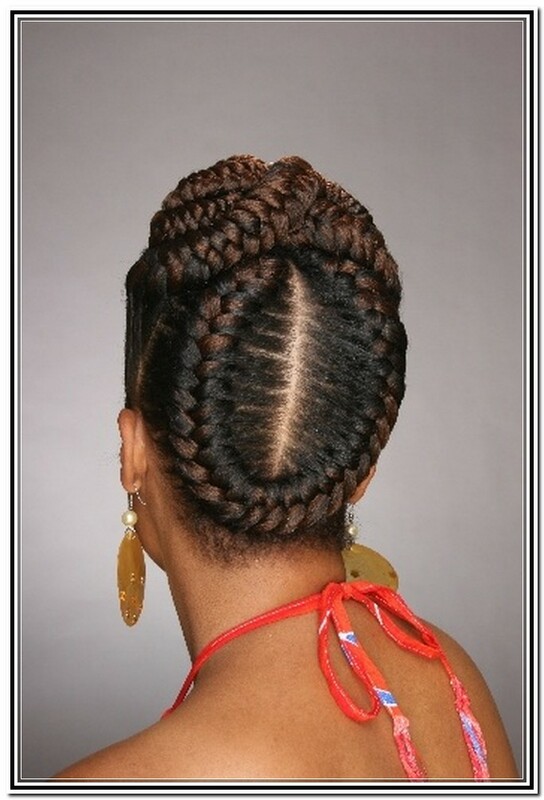 Not only is it a protective style but it’s pretty, feminine and some might even say quite romantic. And when it comes to all of the different ways that you can do it for all seasons, you’ll be elegant for the holiday parties, romantic on your dates and simply beautiful to look at all of the times in between. Doesn’t this basically look like one big flower? 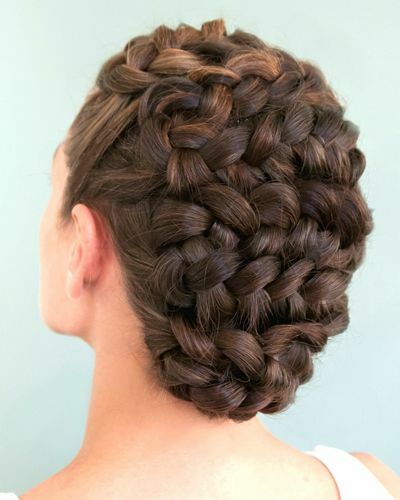 Out of all of the braided styles that we’ll show you, this is one that is so intricate that we recommend you making an appointment with your stylist. 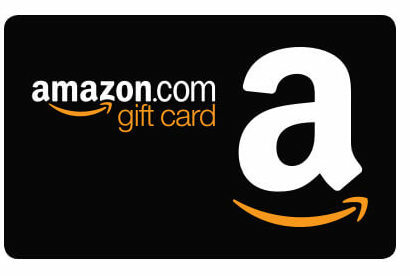 Just so that you can get it…just right. 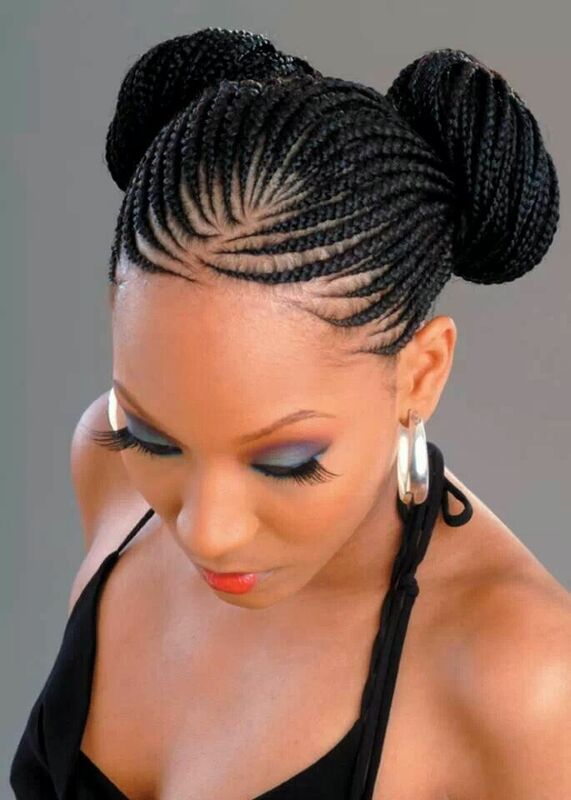 These are called goddess braids. They’ll make any woman look regal and royal. Can’t decide between a fishtail and a French braid? Who said you had to choose? This low side ponytail shows you how to combine the two in a visually stunning kind of way. This is a great braided look because although it’s complex, it’s actually not. Just section off small pieces of the top of your hair and braid them. Then secure everything with a thin headband that goes across your forehead. Aside from braids, “messy” hair is a popular trend right now. So if after putting your hair up in a multi-braid crown, if there are a few loose tresses that fall down, no worries. That will make it just that much more appealing to look at. 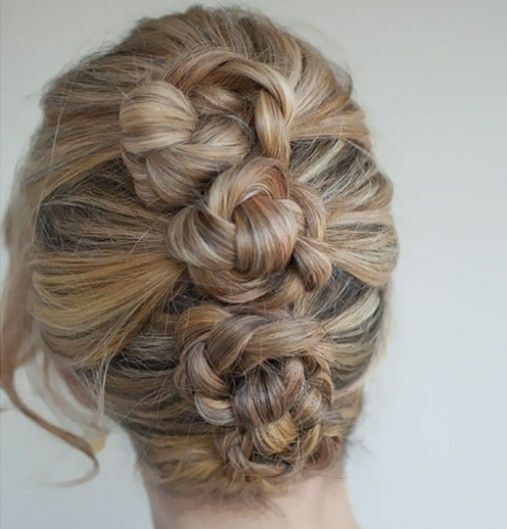 Here’s a romantic updo. And if you look carefully, you’ll see that there are a combination of braids and knots all throughout it. Have you always wanted a Mohawk but you don’t want it to be permanent? You can still keep your long hair. 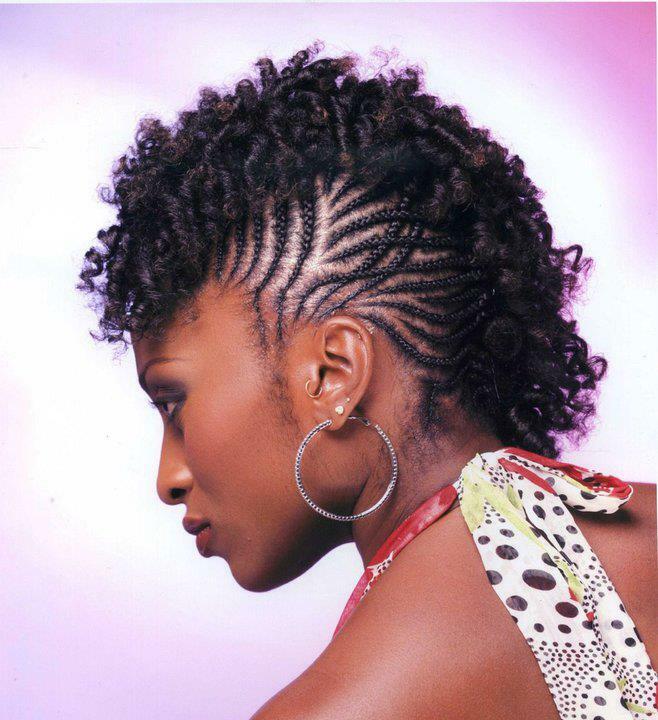 Just cornrow the sides into an upward position and then let the rest of the hair fall where it may. We know that this isn’t the kind of look that every woman would try, but the color combo is so rich and close-to-hypnotic that we had to include it. 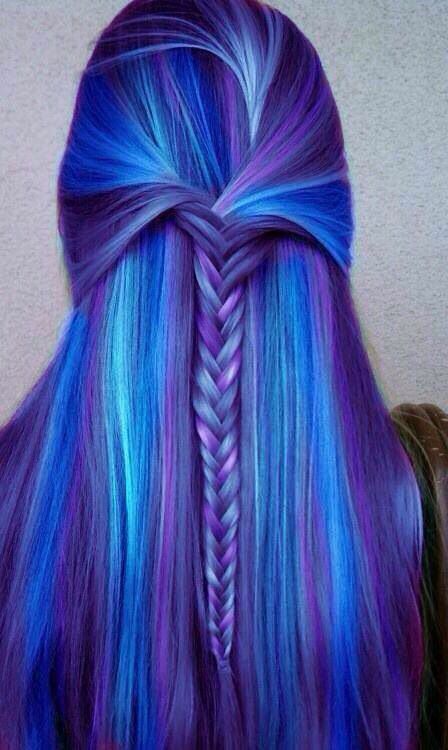 With or without the blues and purples, consider the half braided updo. 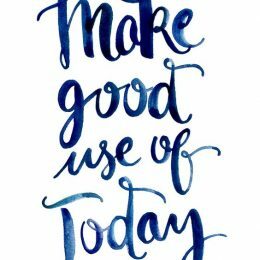 It’s quick, easy and super cute. Whether you want to go casual or to a wedding, you will always be pretty as a picture with a braided crown on the top of your head. Really, this is simply a really long braid that’s been wrapped around her head like a headband. But we call it a “weave braid” because the finished product looks so much like a weave pattern. 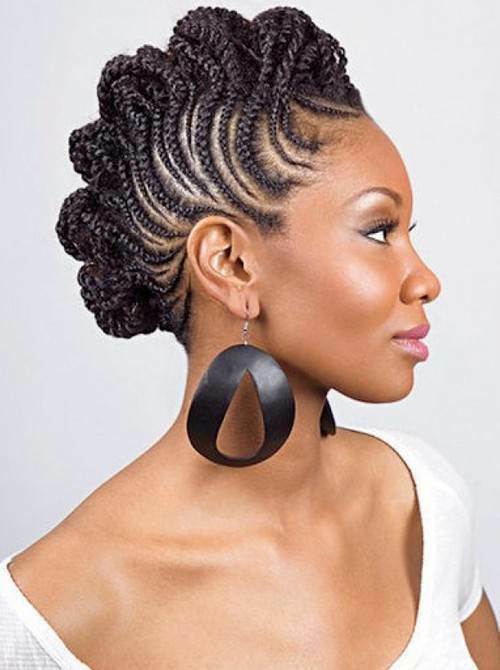 Do you currently have micro-braids? If you do, how about putting them up in two pig tails (another hair trend) and then into two buns (yet another hair trend)? It’s youthful and “grown woman” all at once. 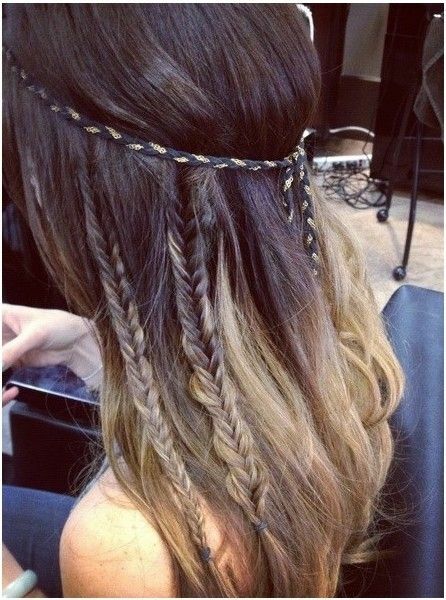 Chic braided hairstyle for 2017 – This a unique way to wear long hair. It’s basically a French braid that’s horizontal instead of vertical. Are you in the process of growing out your bangs? Or maybe you have some short ones that you don’t want to show every single day? Something that you can do to remedy both situations is to braid the temples. It’s a really nice complement to a braided crown. Speaking of bangs, if you have long layered ones or you want to create a bang look, put in a side part and then braid the front all the way down. The end result will be a long braided “bang” look. Here’s another picture that you might want to take to your next stylist. Can you tell us where the braids start and/or where they end? Yeah…we can’t either. Here’s another half updo look. 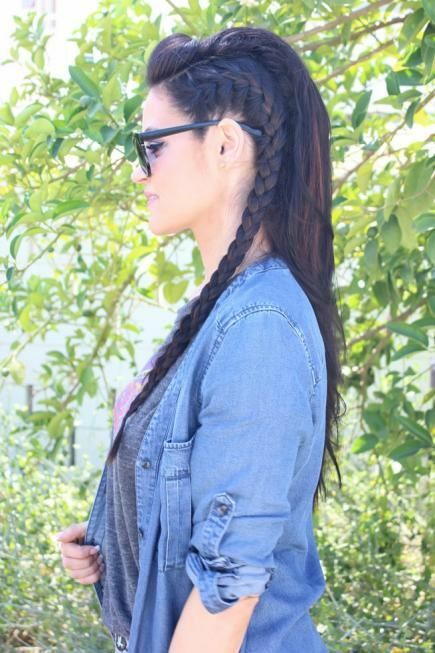 Did you catch how one braid is a bit larger than the other? It’s the small things that can make a really big impression when it comes to hairstyles. Such an easy look that has a BIG IMPACT! Just take one side of your hair and braid it and let the rest fall where it may. It will give the impression that one side of your hair is longer than the other, just like a Mohawk. 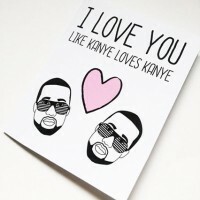 Only…it isn’t. Do you have naturally curly hair? 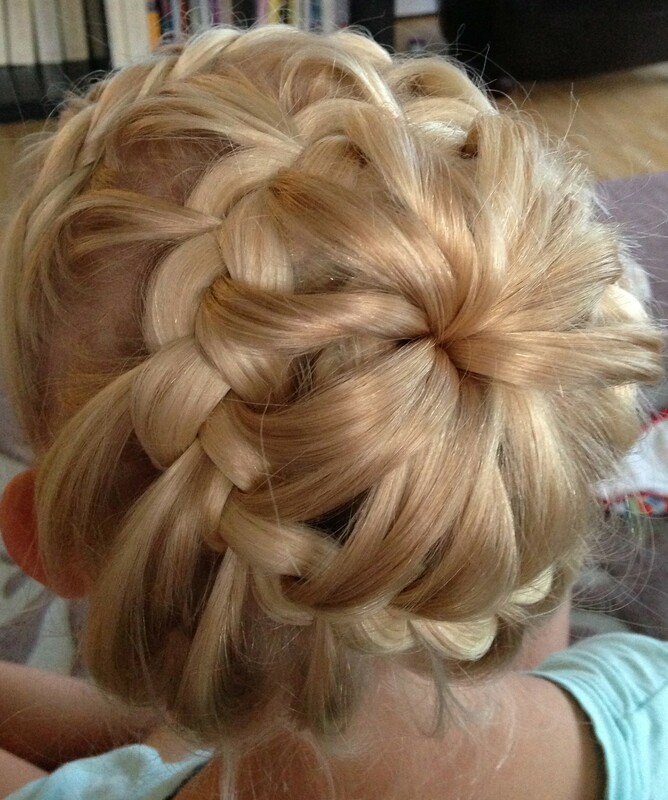 If you do, create tiny braids throughout the sides and then leave the top out. 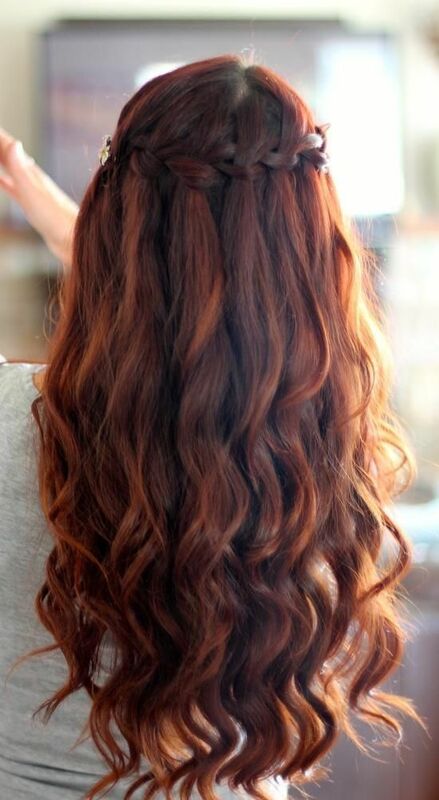 Or you can use a tiny curling iron or rollers to create curls where there aren’t any. Thick, long healthy hair that is multi-colored will look so amazing in a side twist and fishtail braid just like this one! It’s the kind of look that all women easily envy. This looks a lot like the braids and curls look. The only difference is that it’s braided all throughout. Headbands are in! Why not use some of your own hair for yours? 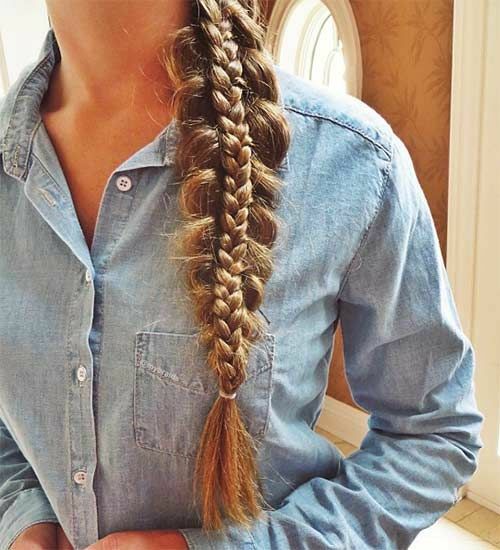 Just take a long piece of hair, braid it and then wrap it around your hair. If yours is not long enough, you can always wrap a hair extension up. For even more fun, one that’s a different color than your own hair! 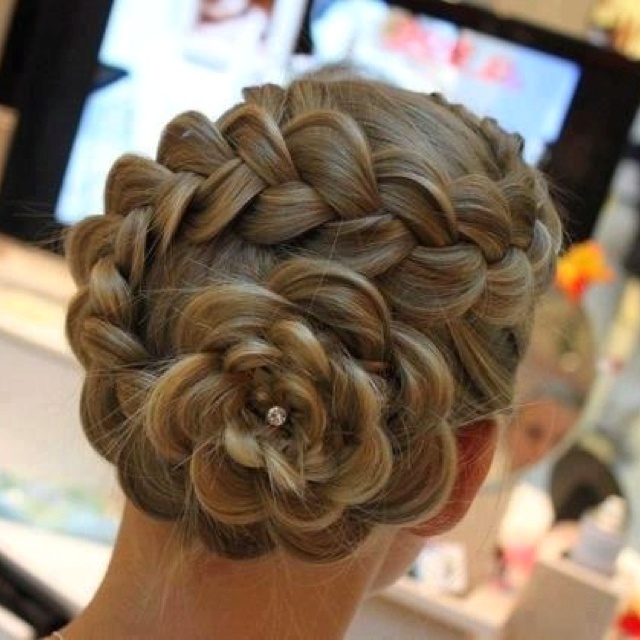 This is called a “lace braid updo”. Similar to the floral pattern that we showed you earlier. But with a bit of a different pattern. Being that buns are trending, we thought we’d show you one more look. 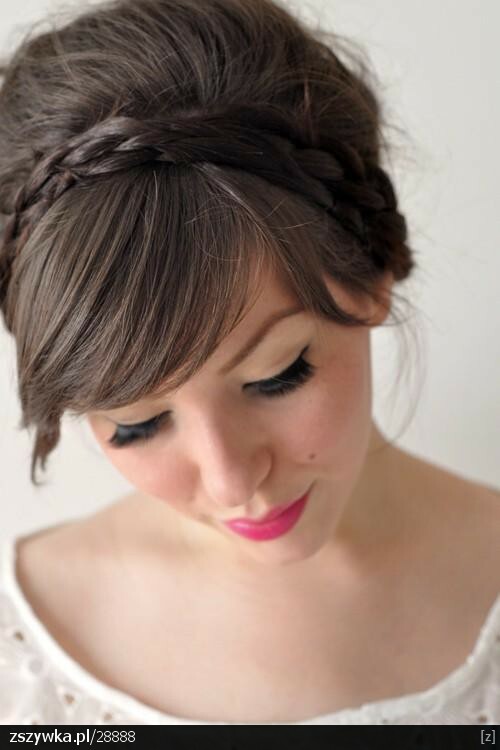 We really like this one being that the braid is tucked under a smooth hair look. A bride, bridesmaid or a woman on a formal date will be breathtaking with it.